‘Mobile Ad Fraud’ continues to be one of the most discussed topics amongst marketers this year. As far as market predictions go, The Bot Baseline: Fraud in Digital Advertising 2017 Report which was released by ANA recently, reveals that the global loss in economic revenue is estimated to reach $6.5 billion in 2017. Click Injection Explained: How To Combat Mobile Ad Fraud For High-Quality User Acquisition? 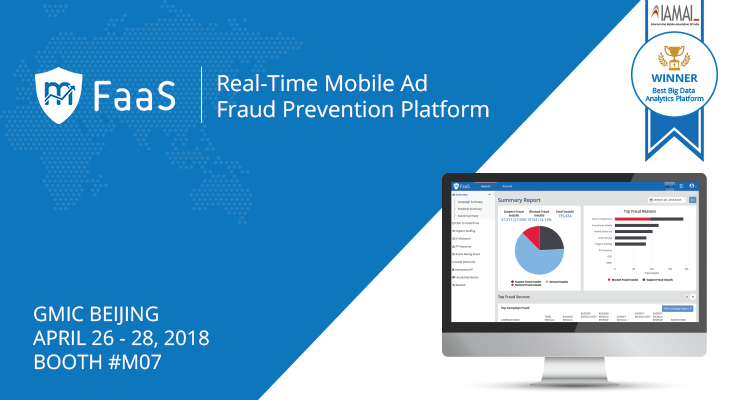 mFaaS is a mobile ad fraud analysis platform that provides real-time detection of fraudulent mobile traffic across over 15 fraud types.